Gothic Arch Greenhouses Provides Top Quality Greenhouse Kits & Greenhouse Supplies Ideal for Your Needs! Whether you're a commercial grower or you're a backyard hobbyist, you want a greenhouse you can rely on to nurture plants and help them thrive. At Gothic Arch Greenhouses, we are the most trusted name in greenhouses and greenhouse supplies in the industry. We've been serving the horticultural industry for decades and have established ourselves as the leading provider of greenhouse kits to suit the needs of growers large and small. Gothic Arch Greenhouses is far more your average business. We've been family owned and operated since 1946. The Sierke family is proud to cater to horticulturists, gardeners and growers with the best greenhouses available. From large scale commercial greenhouses to hobby greenhouses and beyond, we have the products you need to flourish in your own endeavors. In addition to greenhouse supplies, we also carry a wide selection of grower and nursery supplies. At Gothic Arch Greenhouses, it is our commitment to customers to offer a huge selection of the highest quality and lowest priced greenhouse kits, commercial greenhouses, school greenhouses, hobby greenhouses and more available anywhere. We also have custom glass greenhouses, equipment and related greenhouse supplies. It doesn't matter whether you're a teacher, backyard gardener or a commercial grower, we have everything you need. Homeowners who turn to Gothic Arch Greenhouses will find we offer plenty of options. They can choose from the very basic, beginner hobby kits or opt to buy on the opposite end of the spectrum with the highest quality residential enclosures available. We offer the vocational agricultural instructor or specialized research scientist perfectly tailored durable structures and growing systems. Commercial growers will also find we have exactly what they require at prices that will go easy on their budgets. From cold frames and high tunnels to heavy duty ranges that will withstand the most extreme climates, we make sure to offer an exceptional array of products. When you need a structures, we are the company you can rely on. No one else in the industry can boast our friendly service, engaging staff and dedication to you, our customer. Just contact us today to discuss your ideas and we’ll answer all of your questions. If you’re looking for greenhouse supplies for backyard use, our greenhouse kits can serve you perfectly. At Gothic Arch , we want to make sure you understand how to make the ideal selection. After all, choosing and building a hobby greenhouse does call for careful planning. The ultimate choice of structure should depend on the growing space desired, your home’s architecture, the available sites and costs. Your greenhouse must provide the proper environment for growing plans to ensure you have the results you’re after. There are several things to keep in mind as you design a structures. 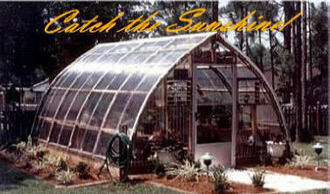 They include: The cost – This relates directly and indirectly to the sizes and types of greenhouses you’re considering. Once you have a budget in place, you can begin to review the different types of greenhouse designs that fit your cost range. Maintenance – Ease of maintenance is a very big issue with greenhouses. Even with higher-end glass structures, you will still have some maintenance to take care of to ensure the longevity of your purchase. If you’re ready to look at supplies, just shop Online or contact us directly for personalized assistance with your project. The best greenhouses for sale! !